Please support our wonderful PTA (and Mr M!) 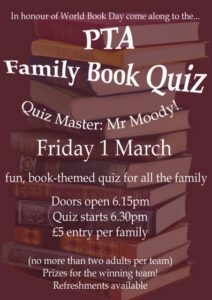 by attending this family quiz. This entry was posted in School News, Email Bulletin - All, Weekly School Newsletter by Mrs M.